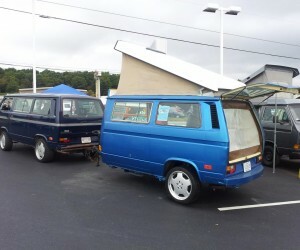 What do you do with an extra Vanagon? Make a trailer! 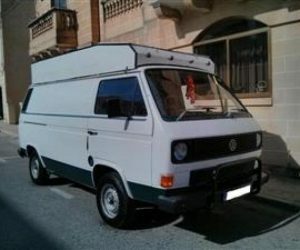 This Westy has several upgrades, but the custom pop top canvas was the first thing to catch my eye. 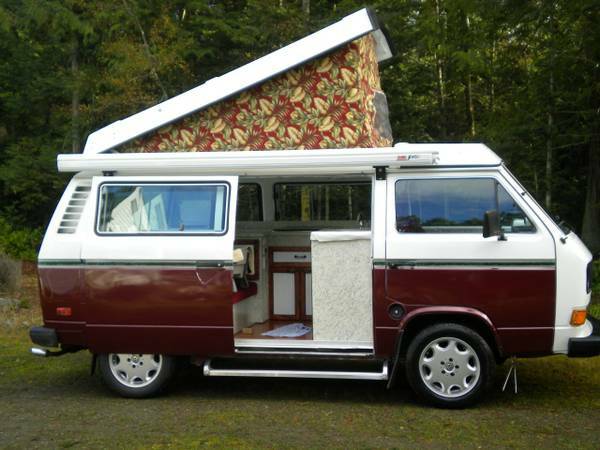 It sure adds a different look to the Vanagon when camping. 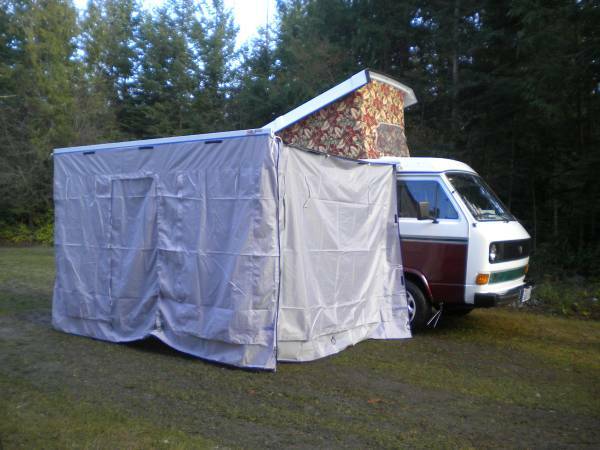 Click through to see their side tent!